Telecapêche is the ideal platform to record your catches. Available on multiple supports (SMS, Web, iOS or Android), it allows the fisherman to enter all the data requested by his fishing organization, in a few seconds. The easiest way to make a declaration on Telecapêche is to type an SMS from a phone. According to his obligations, the fisherman enters a code specifying the fishing zone, the weight (or size) of the catch, the species, the gear used or even the buyer. Telecapêche has algorithms for checking the codes sent by fishermen. If faults are detected but it is impossible to correct them automatically, the fisher is immediately warned by an SMS asking him to try again, with another code. 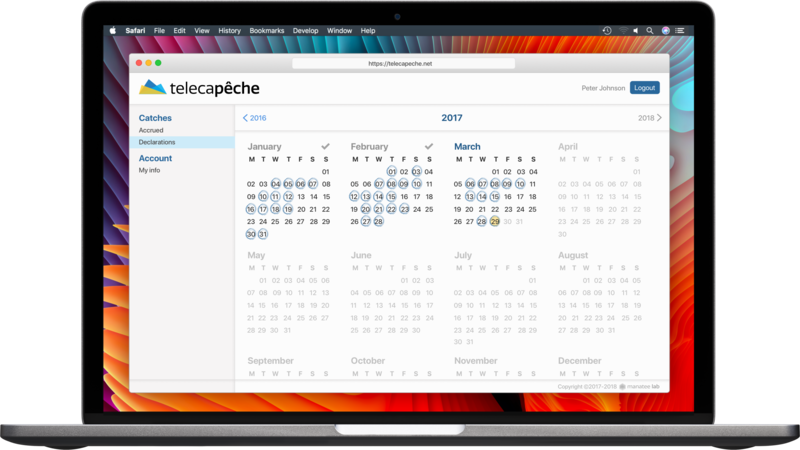 For more complex declarations, Telecapêche offers the fisherman a complete but easy-to-use interface, allowing quick capture of catch over a day, a week or even a month. The fisherman can also consult his old statements, at any time. 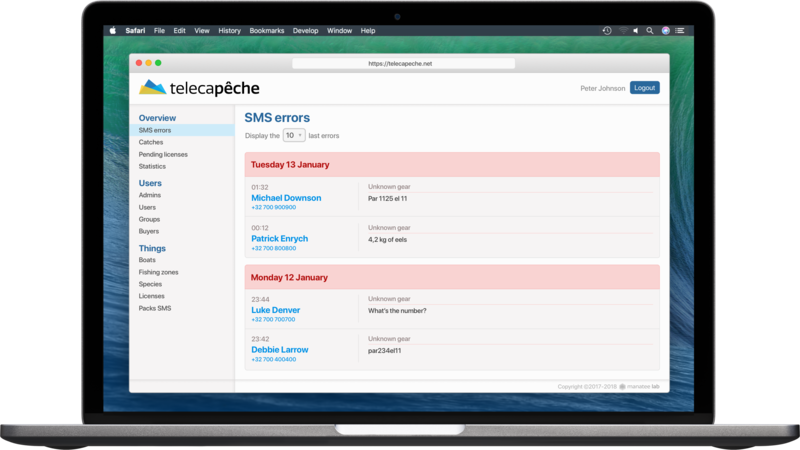 Telecapêche offers administration tools to see the declarations and even the SMS errors in real time. Cumulators are automatically displayed in a comprehensive way by campaigns.